Yes, they’re pen and watercolors! Great work, I can really see you love sketching/ painting, so nice to see that. Bye! 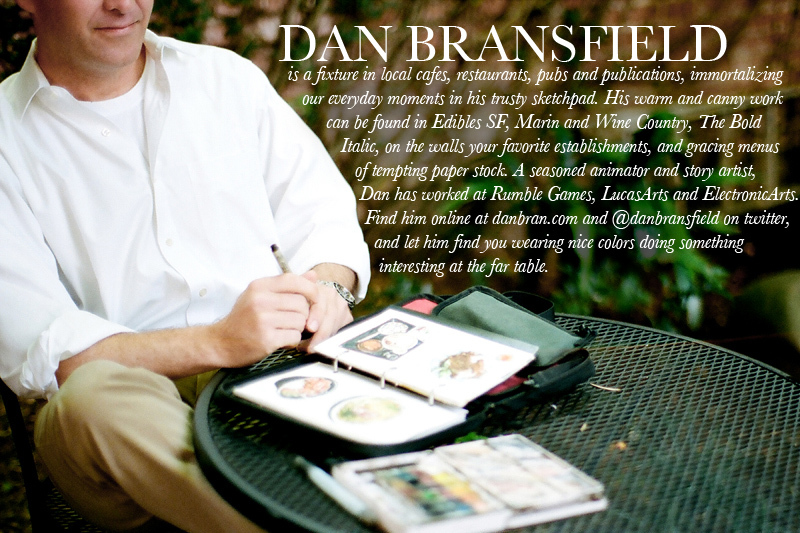 Hey Dan, love your work and how you’re sing Storehouse. What is the very cool looking brush you’re using in this video and others? Thank you, Dean! I am using a basic 3pt. photoshop brush, but animating it on three different layers. Kind of like an animated .gif! Hey Dan, can you please tell me where to buy the full set of art (brush, colors, case, pad, pen and so on) you use and if you can buy all of them off amazon.co.uk. Hey Dan, have you heard about the app called Paper by 53? It’s really similar to your water colors, micron pens and field journal notebook only everything there is digital Moleskine. The link is here: https://itunes.apple.com/ru/app/paper-by-fiftythree/id506003812?l=en&mt=8. Check it out! Hey Daniel! Yes, I have heard of that! It’s pretty cool!